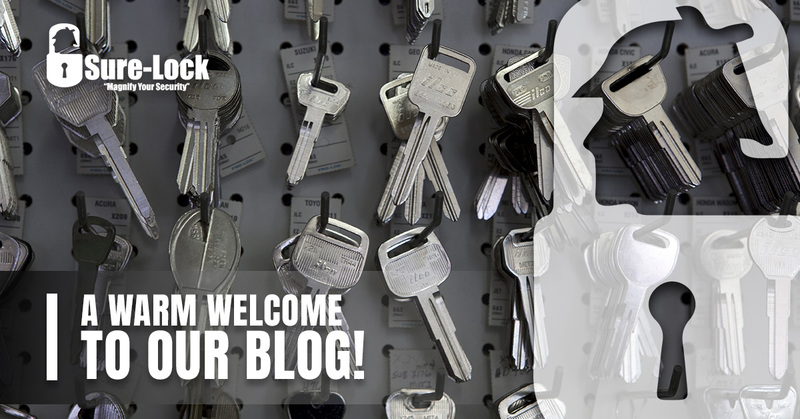 From our team of locksmith experts here at Sure-Lock Locksmith, we’d like to extend a warm welcome to our recently redesigned website as well as our blog. Perhaps you’re in search of a reliable commercial locksmith for your business to secure multiple rooms or even buildings. Maybe you’re one of our many Southwest Florida residents who simply reach out to us in a pinch when they’ve — you guessed it — locked themselves out of their home. In this sense, locksmithing can be a continuing business relationship or a team of superheroes who are on call to bail you out when you need us the most. With a name like “Sure-Lock” Locksmith, you might be wondering if we’re fans of the iconic Sir Arthur Conan Doyle character Sherlock Holmes. Well, let’s just say that our name is intentional and we definitely enjoy a good mystery. Changing out a lock or fixing a broken lock is, in a sense, a mystery to those who don’t know how to remedy the situation, and we like to think of ourselves as the ones who solve the case. Sound familiar? Some locks are so old or used that they’re well beyond repair. In these situations, new hardware installation is typically warranted. In other situations, security upgrades may be necessary or strongly recommended, and a top-of-the-line lock hardware installation for your home or business is “sure” to do the job. Our team of Florida locksmith professionals are happy to discuss what lock options are best for your situation. Did you old tenants finally move out? Did you recently fire a manager of your business who went a little crazy? There are many reasons for re-keying a lock to ensure that the old key no longer works. What some people don’t know is that you can also update and upgrade locks without doing a complete hardware installation overhaul. All things considered, re-keying is a versatile and cost-effective security solution. Ideal for businesses who need secure access to multiple rooms or buildings within a facility, our commercial locksmithing experts can set you up with a highly-secure master key system. This offers easy access on your part while ensuring that no one else gets access to the area. We’d love to discuss the details and logistics of your business to determine the best master key solution. From Naples to Marco Island, Fort Myers, Ave Maria and beyond, Sure-Lock Locksmith is here to keep your home and business secure. On behalf of Eddie Miller, our owner and locksmith extraordinaire, thanks for stopping by our blog. Tune in later for tips, tricks, and news related to all things locksmithing! If There's A Lock Or Key Involved, We Can Help!